As a Fine Arts graduate, it can be quite mind-boggling to decide the next steps after completing your studies. But your qualification and creative talent open doors to an array of fascinating career paths. Whether you exploit your skills in the art and design sector or step into another relatable profession, your artistic flair is highly-valued in today’s society and culture. Read on to discover some great fine art career opportunities. If you’re a tech-lover with an interest in design software, head straight into graphic design. Graphic designers create visual concepts for promotional purposes using computer software. They can work in a huge variety of industries and projects, in-house or in design/ media agencies. They develop innovative design ideas for clients’ business objectives and work with a range of media and modern technologies. With your design knowledge, you can work with magazines, television, and computer game companies, and collaborate with other creatives, such as photographers and web developers. Graphic design can be a financially rewarding profession, creating outstanding artwork and building a sound reputation and portfolio along the way. 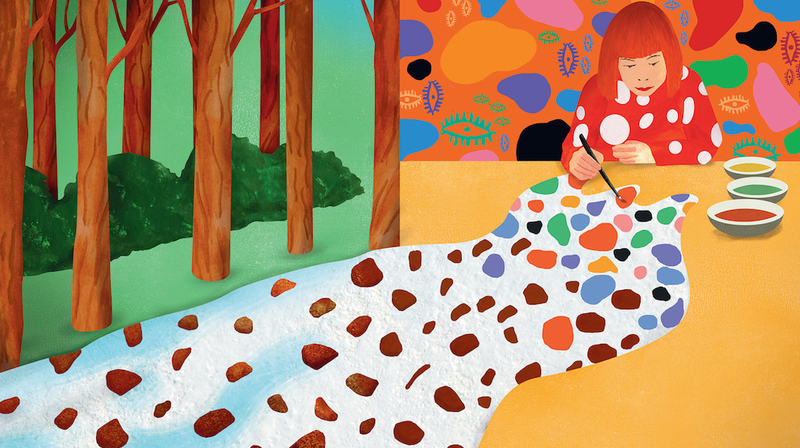 Illustrated by Ellen Weinstein, this colourful children’s book tells the story of artist Yayoi Kusama & her quest to cover the world in polka dots! The Illustration sector is highly competitive, but it’s a career worth pursuing by visual storytellers. As an Illustrator, you’ll be drawing two-dimensional images to visually represent content for publications or commercial products. 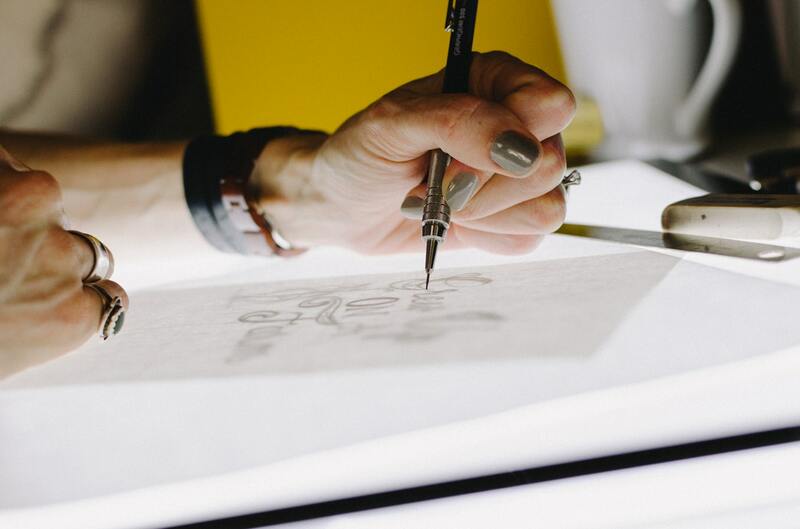 There are numerous markets you can apply your drawing skills to, such as children’s books, film posters, fashion design, and billboards to name a few. You’ll need originality, great eye for detail, and self-promotional skills. If you have a portfolio or blog that showcases your artwork, you’re well on your way to breaking into the world of illustration. Do you enjoy taking trips to museums, art galleries, and trade shows? If that’s a yes, exhibition design might just be your calling. An exhibition designer creates engaging display stands and fixtures at events for organisations or individuals. You’d be expected to bring your imagination to life for a variety of design work aimed to represent clients’ brands and promote their products and services. As you progress in this role you could step up into a senior position or even start your own business. On my resources page you can find lots more careers and CV advice for roles in the arts. Become an art teacher to motivate and inspire like-minded students by sharing your artistic knowledge, skills, and abilities. Art teachers work in schools or art centres to teach young people how to draw, paint, create sculptures, and lots more. An art teacher will plan lessons and assignments, monitor student achievements and educate them about art history. To explore your creativity in this profession, you’ll need to have great confidence, excellent communication skills, and incredible art skills to stimulate your students. If you want to, you could even do private art tuition lessons. There are many more exciting art-related industries you can work in with your Fine Arts degree. If your job interest requires specialised skills in particular areas of art or an additional qualification, consider looking into postgraduate degrees. In the meantime, keep building an incredible arts portfolio to showcase your skills, amaze employers, and outshine your fellow art graduates. This guest post was created by James Craigmillar. James writes for Inspiring Interns, which specialises in sourcing candidates for internships and graduate jobs. Want to know about careers related to art history? Then head over to my blog post here.